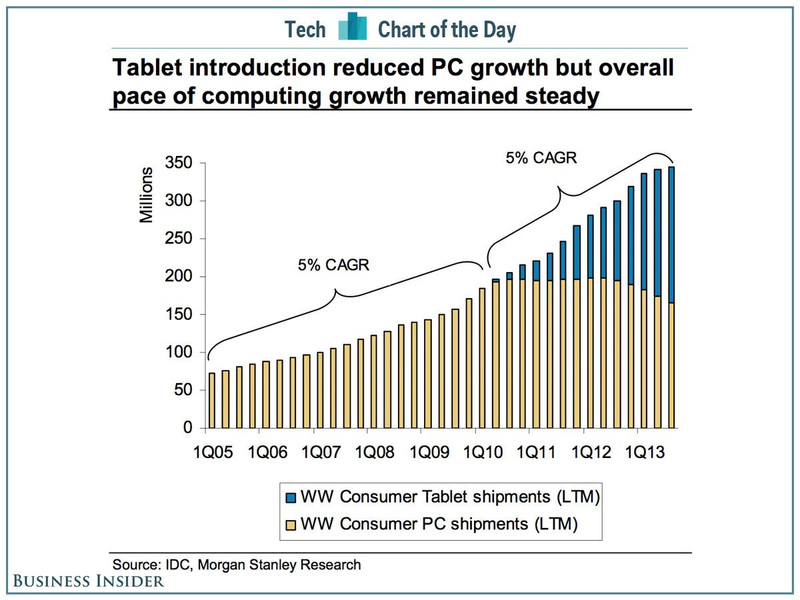 The PC market has cratered, but our purchases of personal computers has remained quite steady, according to this chart from a Morgan Stanley report on the PC industry. As you can see, people have simply shifted purchases of laptops and desktops to purchases of tablets. The overall growth of the PC market is steady.